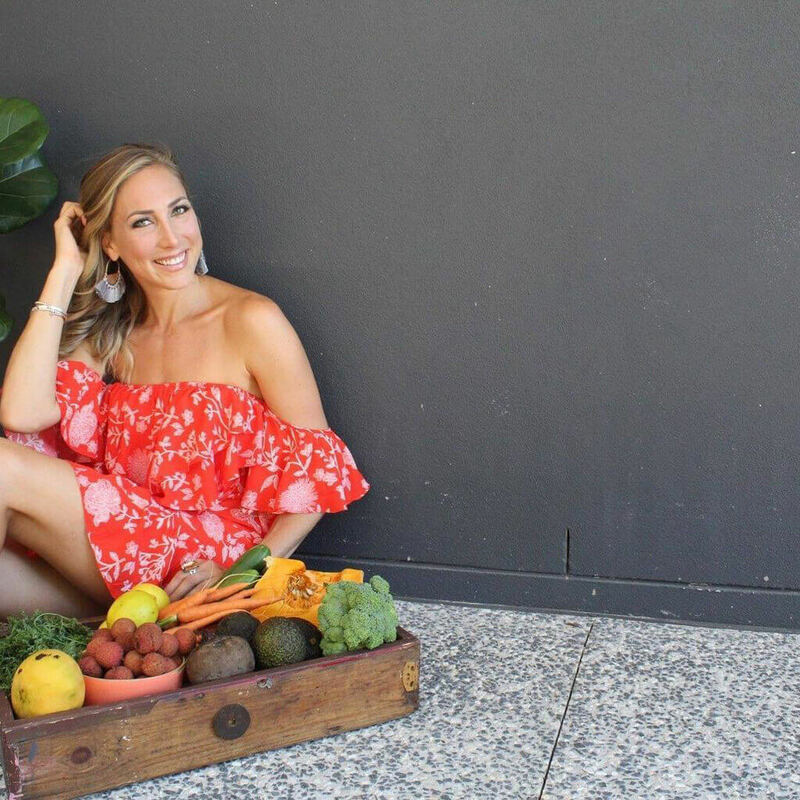 Shannon Cooper is an Australian health and wellness coach known for her blog, My Food Religion. When she became a first-time mother in 2014, she ostensibly got plenty of advice on how to raise her newborn. 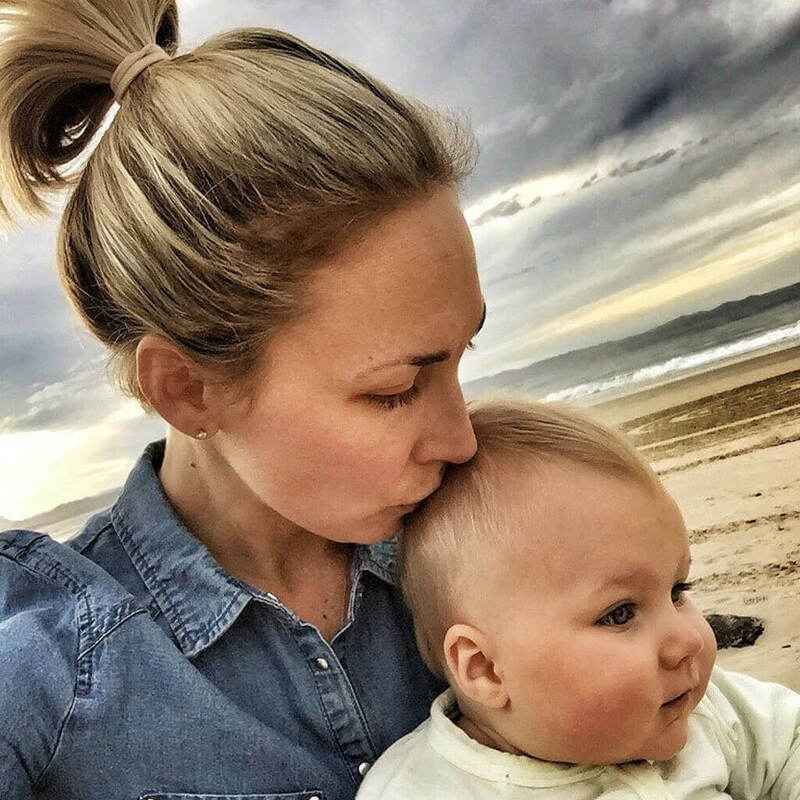 But one thing that Cooper was set on from the get-go was a very particular diet that she was going raise her child on – one without any sugar or carbs! Cooper’s decision was quite controversial, even by medical experts’ standards. Still, Cooper made an observation about her daughter in the last few years that has proven all the cynics wrong. Cooper knows this quite well. She believes that food can be fuel for the body or it can be straight-up poison. This notion is something she has carried with her for much of her adult life. It led her to make a decision that would eventually affect her daughter. While most people are aware of the “you are what you eat” statement, they probably haven’t heard that “you are what you eat ate.” You’re probably scratching your head at this point, but it’s not that complicated. The foods that animals eat will inevitably affect human bodies if the human eats that animal. For example, free-range hens produce eggs with more Omega-3 content than caged hens. This is because free range hens live healthier. This is a concept that Shannon Cooper also believes in and why she decided to use this concept in her daily life. 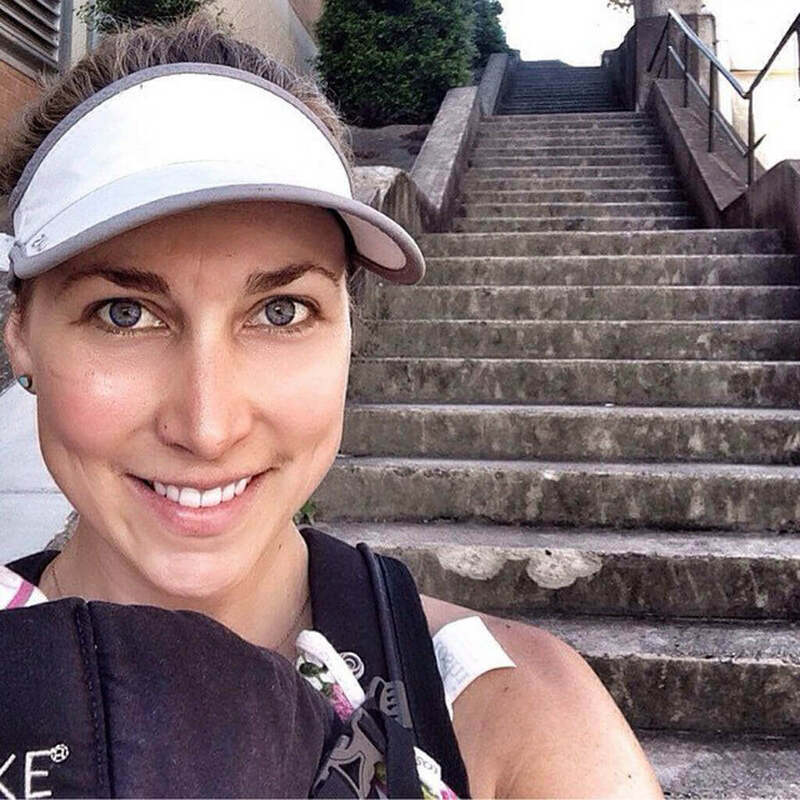 Shannon Cooper is more than just a health enthusiast. She actually has a background in science and animal health, but continues to research nutrition and study various types of diets. As someone with a degree in agricultural science, she’s studied the way plants are grown and treated to be used for human consumption. Suffice it to say, Cooper knows a thing or two about nutrition and healthy living. 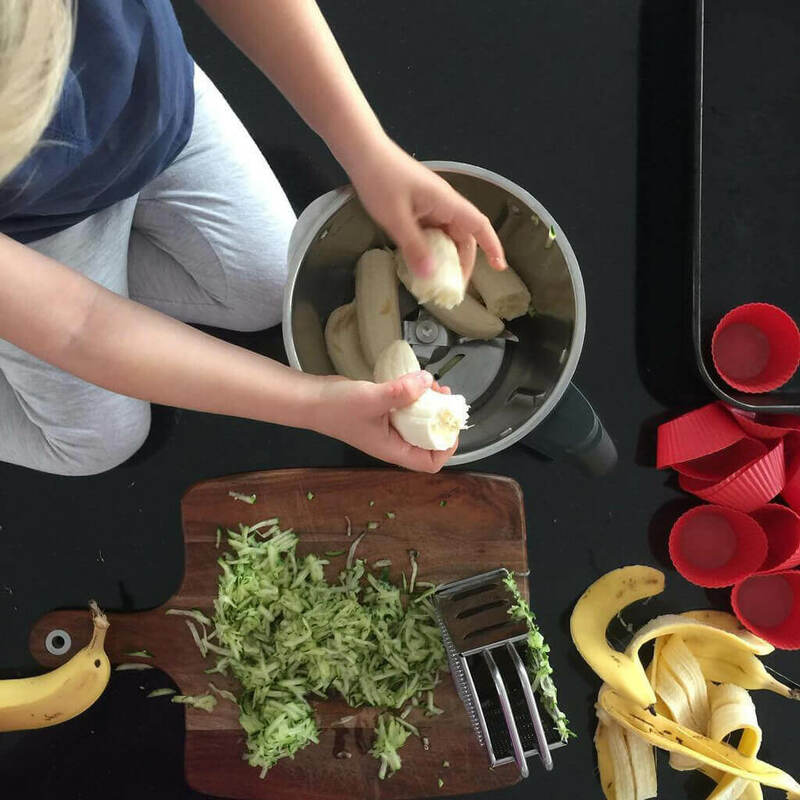 When her daughter Grace was born in 2014, Cooper knew that she wanted Grace to learn to love food in a way that makes her happy and healthy, which is what led to her drastic decision. In addition to her background in plant and animal health, Shannon Cooper has also had training in wellness coaching and fitness. When it comes to living a healthy lifestyle, Cooper is pretty much an expert at this point. 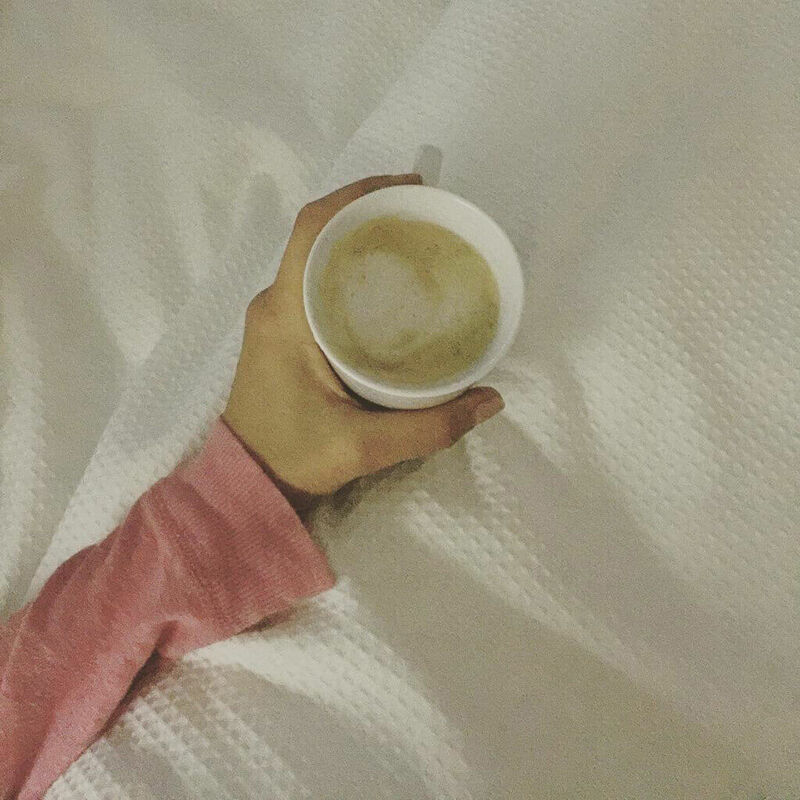 Much of what she shares on her blog revolves around food and what we put inside our bodies. It wouldn’t be off-base to assume that she’d take these ideals with her into raising a family, but this is precisely what she’s doing. However, while Cooper had the best interests of her family’s health at heart, no one knew how this would affect newborn Grace. 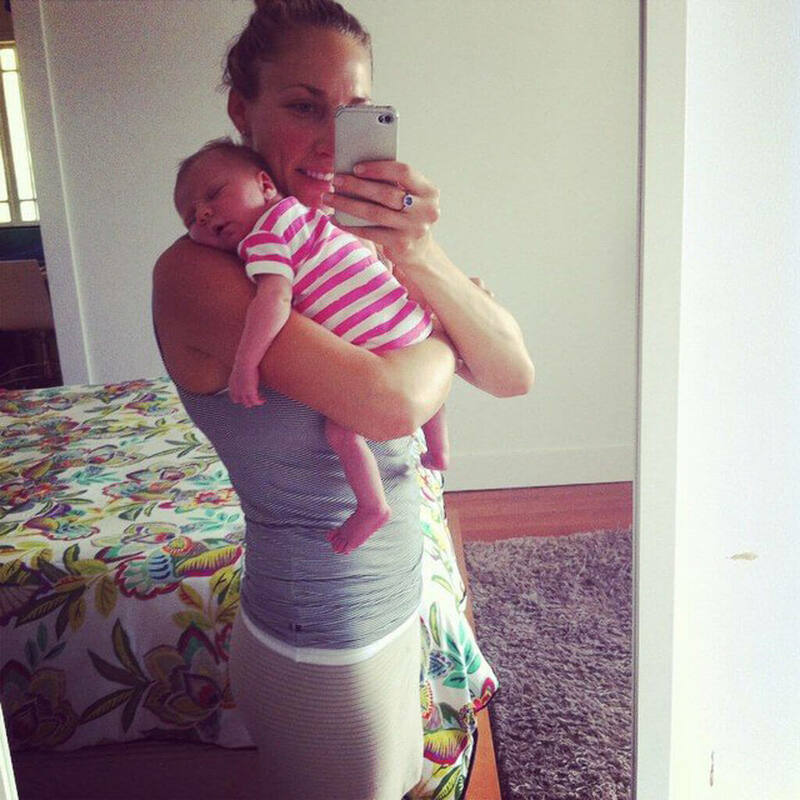 Shannon Cooper wasn’t going to let her newfound motherhood affect her lifestyle. Since being a health and wellness coach was her livelihood, she still had to live by her healthy beliefs. This meant that she wasn’t going to raise Grace like most new parents would. But this also meant that Grace was in for a particularly different upbringing than her peers. Cooper decided to raise Grace on a conscious diet, being strict about what she chose to feed her. 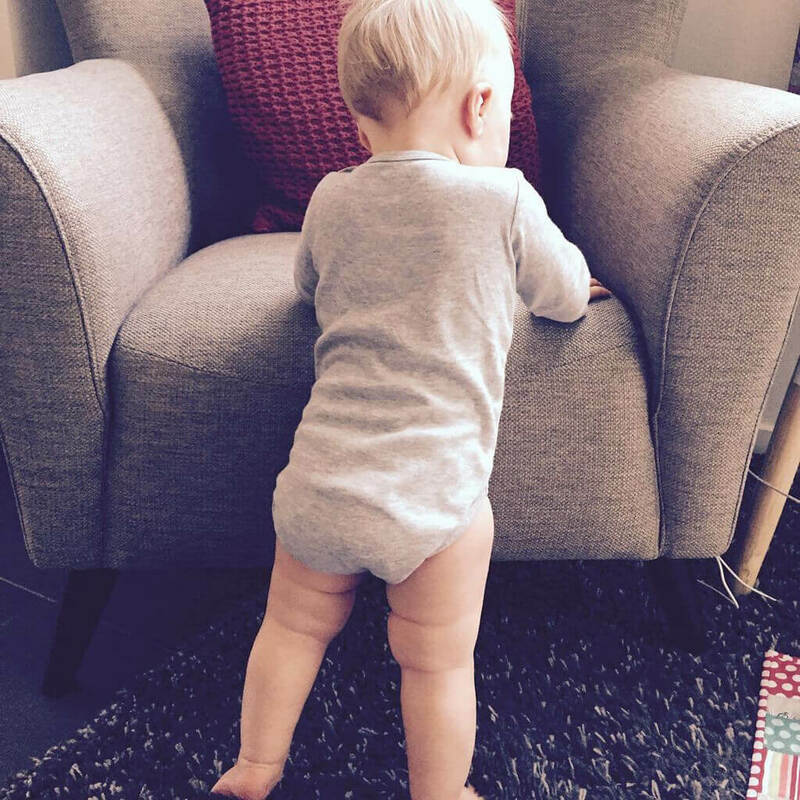 Most parents slip up or relent in some instances, but Cooper wasn’t going to back down. This might sound shocking to most veteran parents, but don’t believe that Cooper put Grace on a “diet” because she was overweight! After all, how would she be able to see that right after Grace’s birth? This was a decision Cooper made probably even before she delivered Grace. From that moment on, Cooper has been raising Grace on the Paleo diet. Cooper herself has been on the Paleo diet for about as long as she’s been studying nutrition in her adult life. This meant that Grace wouldn’t be eating processed, jarred baby food like most babies. 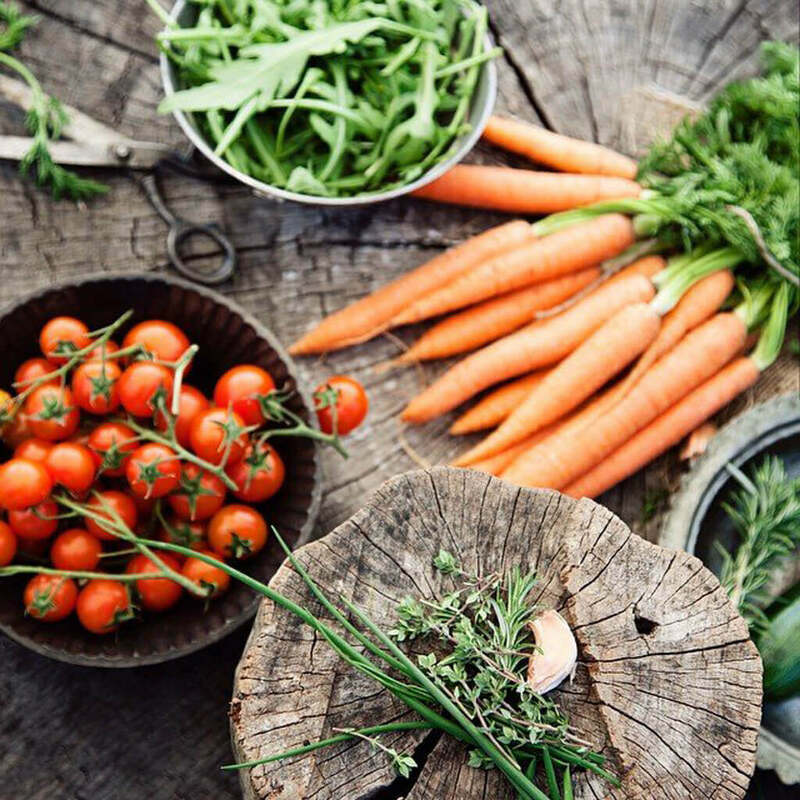 You may have heard of the Paleo diet, but a lot of people are still unaware of what exactly it entails. Paleo is short for Paleolithic, as in the Stone Age. Also known as the “caveman diet,” a Paleo diet means that you eat only what people from the early Stone Age would eat. Back then, cavemen were hunter-gatherers who ate only what they could obtain, which included plenty of meat and fish, in addition to fresh fruit and vegetables. Cooper discovered the diet for herself in 2010 and the transition has completely transformed her life. But how would it affect a newborn baby? 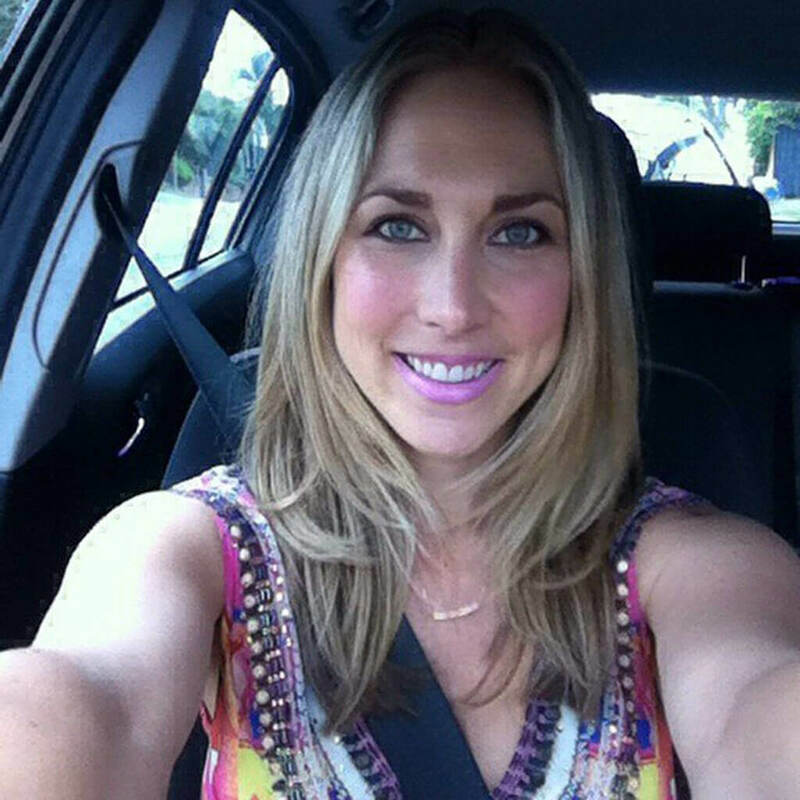 Shannon Cooper decided to adopt this diet due to past health issues that were constantly making her feel unwell. She noticed that in addition to inherent food allergies, what she was already eating just really didn’t make her feel good. Everyone’s body operates differently, so not all diets are cut and dry. For Cooper, the Paleo diet is one that worked for her. This involved cutting out sugars, carbs, and processed foods that have preservatives and other harmful additives. 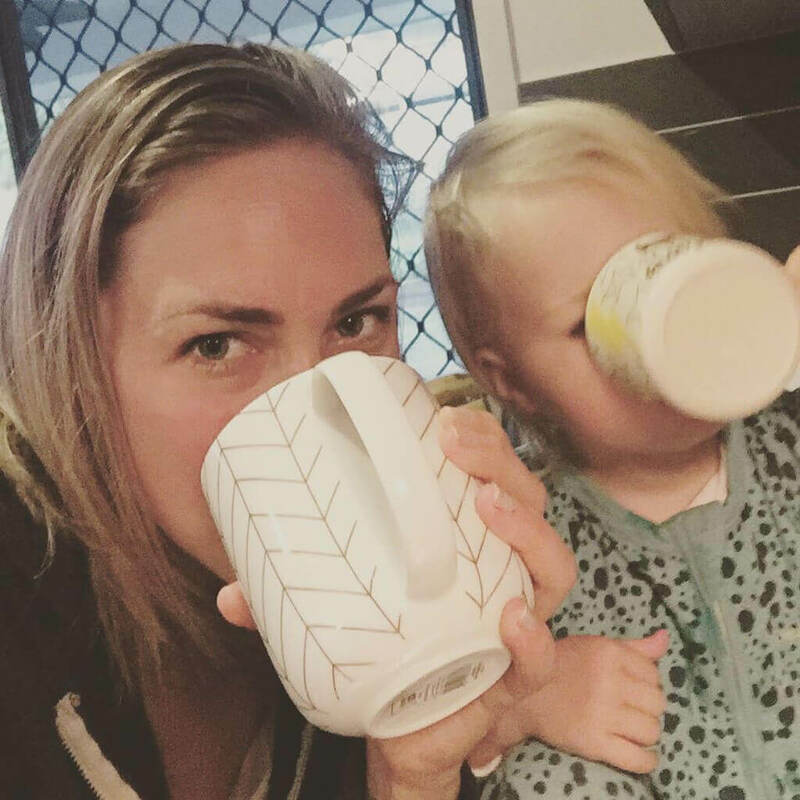 “I just got sick of not feeling great… That had become my normal and (I decided) that wasn’t going to be normal anymore,” Cooper told Daily Mail Australia in 2015. Still, the Paleo diet is often questioned by many medical experts. While they do acknowledge the pros of the diet, they also warn of its numerous shortcomings. The Paleo diet sounds pretty healthy in theory, but there are plenty of shortcomings. Medical experts and nutritionists commend the Paleo diet for the way it restricts processed foods, instead championing real, whole foods as the alternative. There is some truth in the idea that cavemen ate healthier than us. Cavemen reportedly ate three times more produce than the average American does today. Their diets were richer in fiber, protein, and Omega-3 fatty acids, and more vitamins and minerals. This sounds perfect for a growing child, but people were quick to judge Cooper for it. But while cavemen certainly had a healthy day-to-day diet, there are a lot of aspects of the Stone Age life that Paleo diet enthusiasts tend to overlook. They may have eaten healthier, but that isn’t to say that cavemen were necessarily healthy. The Stone Age ancestors suffered from a number of problems that were ultimately out of their control, including parasites and disease. Their healthy diet wasn’t enough to prove that they lived healthier than people do today. The Paleo diet also insists on cutting grains, legumes, and dairy, which are often essential in today’s diet. So how did Shannon Cooper make it work for baby Grace? Shannon Cooper had been on the Paleo diet for several years by the time she had Grace. 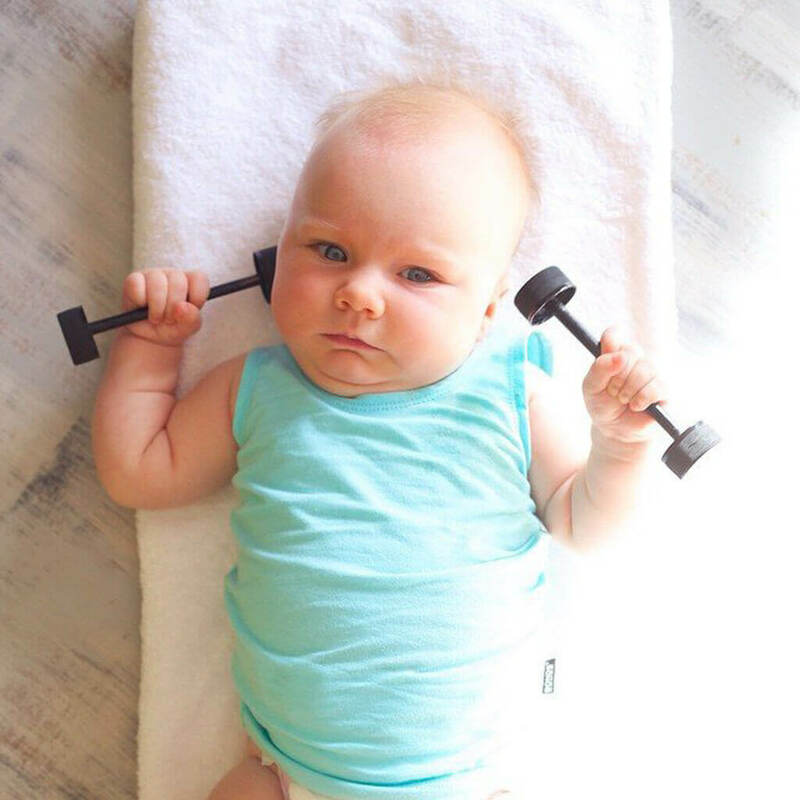 Before having her baby, Cooper felt amazing. Of course, as a mother, she wanted her own daughter to feel the same way, especially when it came to eating. But her decision to raise Grace on the Paleo diet still raised many questions. The diet is a healthy option for grown adults, but how would it affect the development of a growing baby? Cooper didn’t need any opinions and used her mother’s intuition to find out. But doctors still came out of the woodwork to give unsolicited opinions. Before Cooper decided to go forth with the Paleo diet for Grace, she did seek out medical advice from a pediatrician. But because there’s not much research on children and the Paleo diet, Cooper was only given a fair warning and told to proceed with caution. This didn’t deter Cooper from raising Grace on Paleo since day one. However, there is one exception that Cooper made in the best interests of newborn Grace. 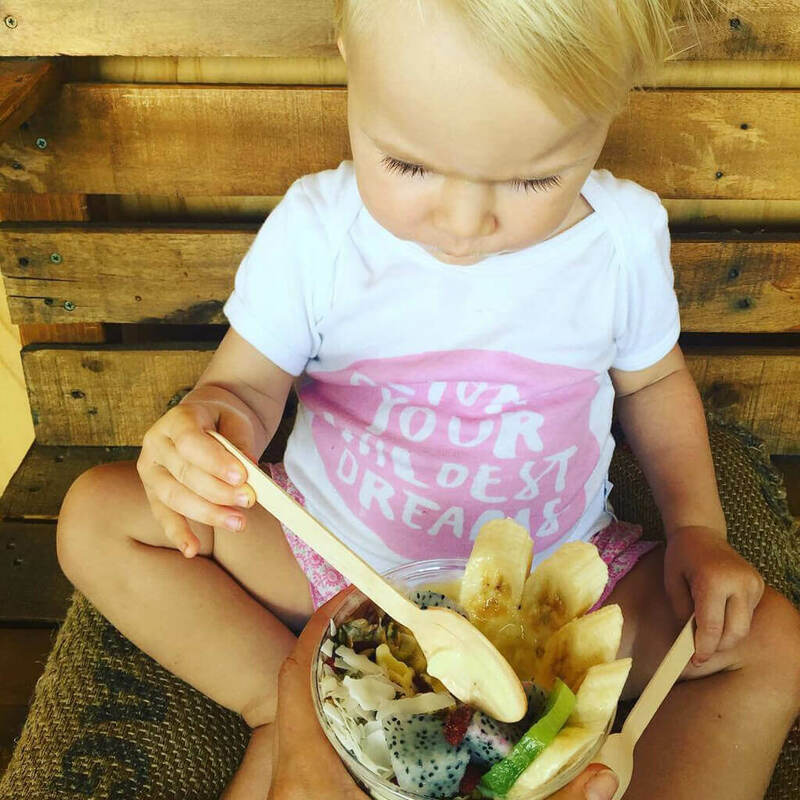 It was essential that Grace be able to consume this one food to ensure she received all the nutrients necessary to grow up healthy and natural. The one exception Cooper did make for Grace’s Paleo diet was allowing for breast milk. 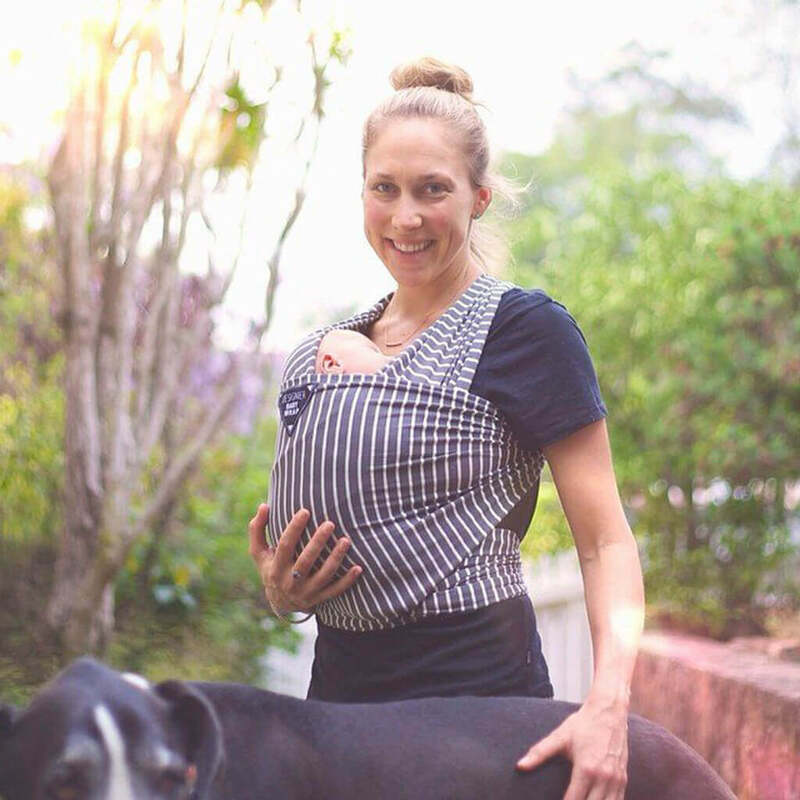 It’s only natural that Cooper decided to breastfeed her newborn for the first few months, especially since babies can’t digest meats and plants so early on in life. 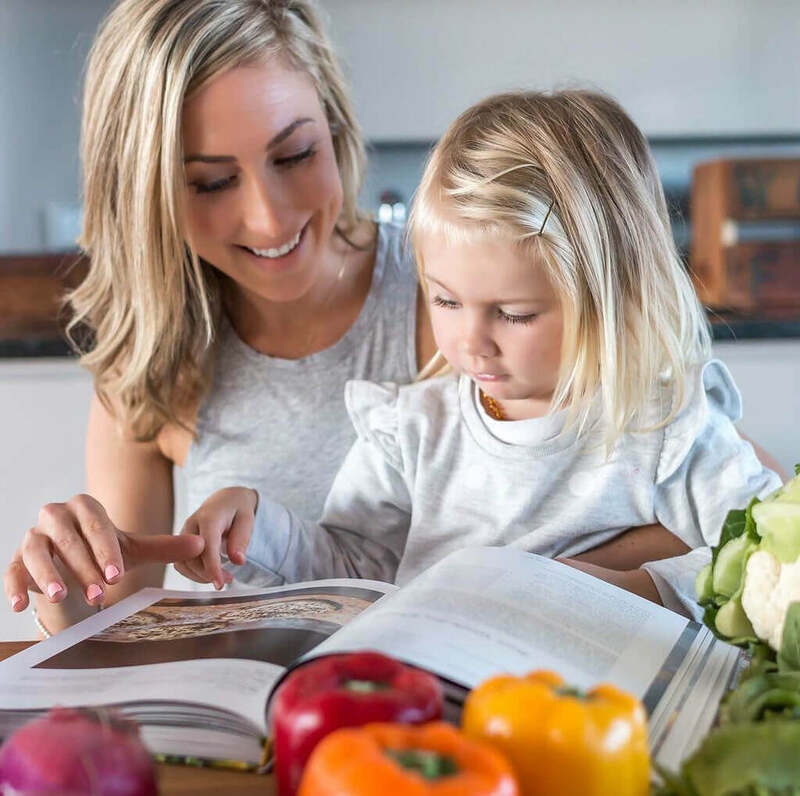 You might be thinking, “Duh,” but not all parents make that exception when they put their kids on the Paleo diet, apparently. However, this seemed completely fine since Cooper herself was already on the diet. After all, you are what you eat ate, as the new saying goes. Still, there was quite a learning curve. 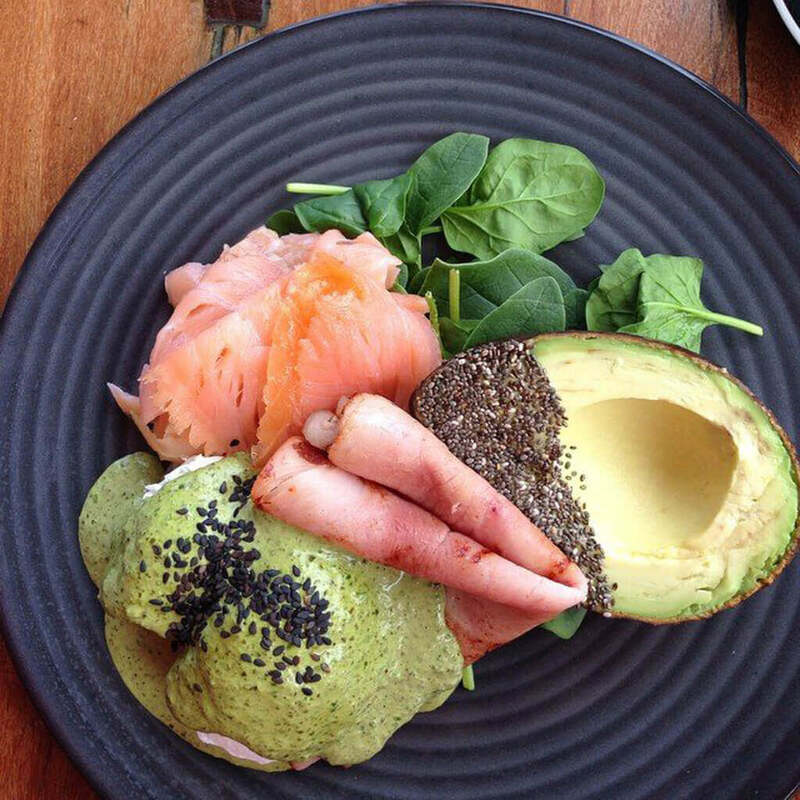 Celebrity Paleo chef Pete Evans developed a formula that one nutritionist said could cause “permanent damage and possibly result in death.” This was because the recipe contained a level of nutrients babies aren’t equipped to digest. Cooper didn’t use the recipe thankfully, but still stuck to her Paleo ideals when it came to other things. After babies are weaned off breastmilk and start venturing into soft solid foods, parents typically go for jars of baby food. But not Shannon Cooper. 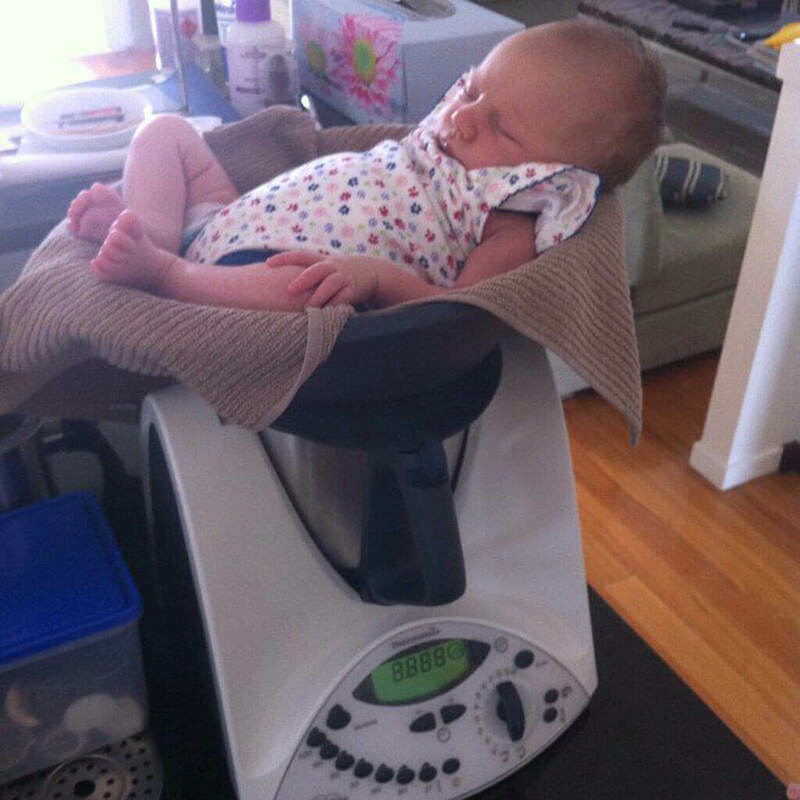 Instead, the new mom decided that she would make her baby’s food herself, sticking to the Paleo diet. 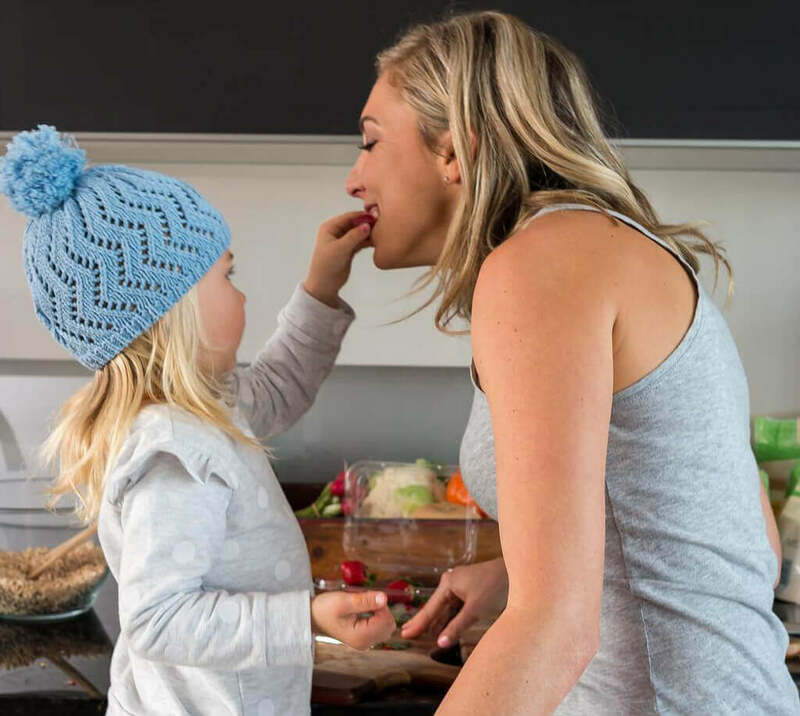 Baby food is more or less harmless for most people, but it still contains hints of sugar and preservatives that Cooper wanted to keep away from her daughter. Cooper knew that making her daughter’s food would fill her up with wholesome nutrients she needed. But how exactly did Grace react to the diet as she grew up? In order to start acclimating her daughter to the Paleo diet, Cooper started introducing tiny plates of veggies and organic chicken to Grace while she was still breastfeeding. This way, she ensured that Grace would have an easy transition to solid foods. The best part was that Cooper was completely sure of what her daughter put into her body, since she made all of the food herself. 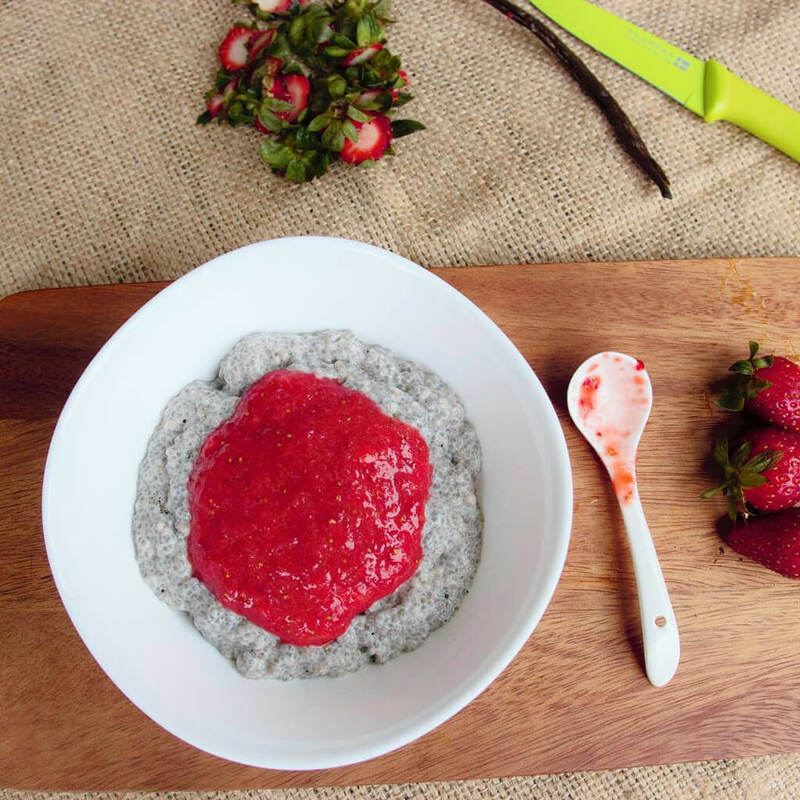 All of Grace’s specially-prepared meals were free of sugars, preservatives, and were unprocessed – unlike most baby foods on the market. The only thing left to see was how it would affect little Grace. 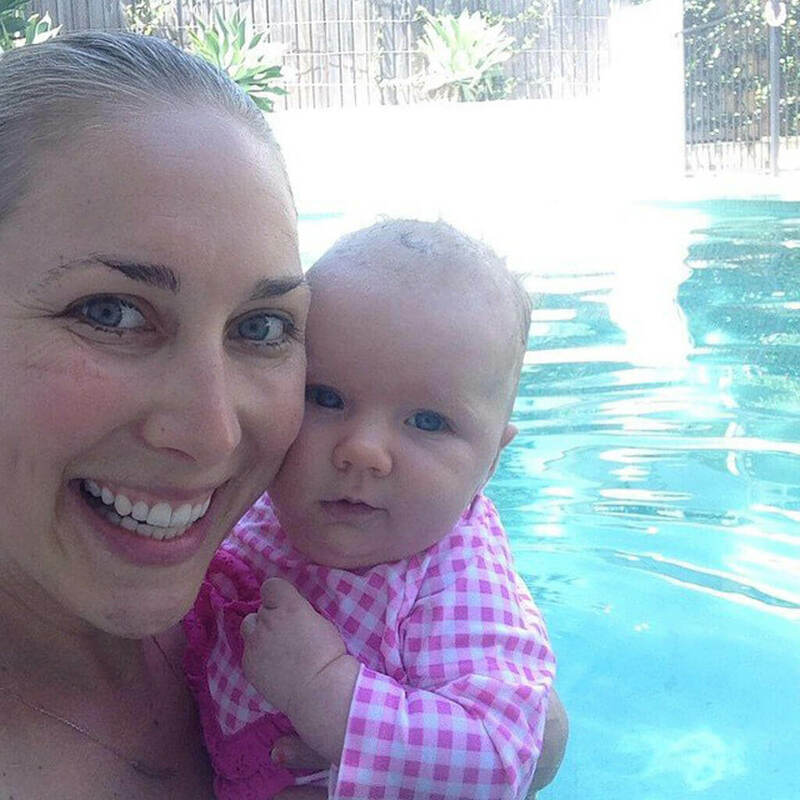 Since Grace’s birth, Cooper has shared pictures of the meals she prepared for the newborn on social media and on her blog. 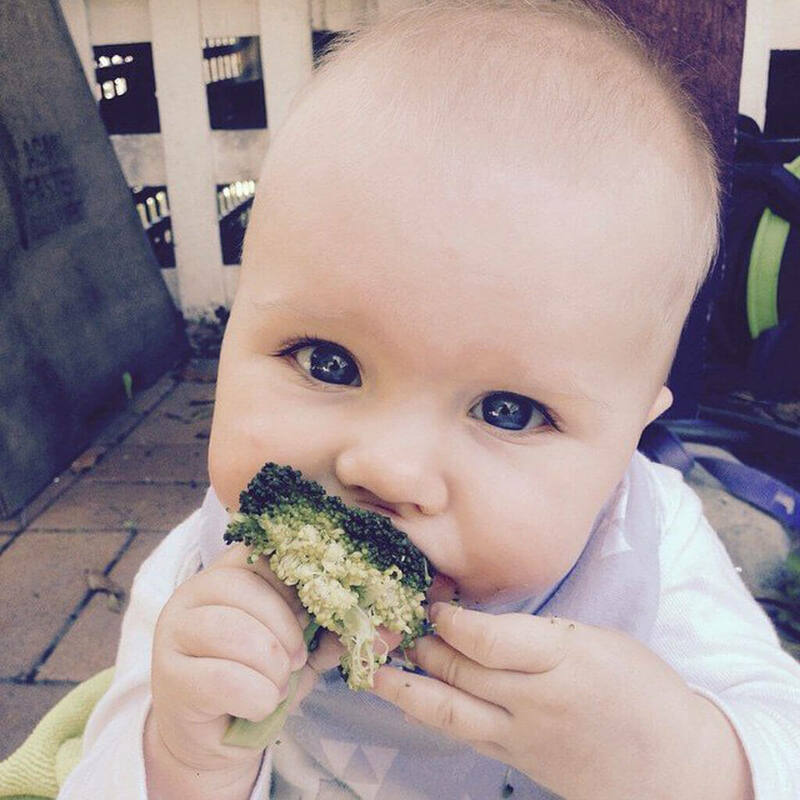 Fans have seen Grace since a baby eating things like broccoli without a care. 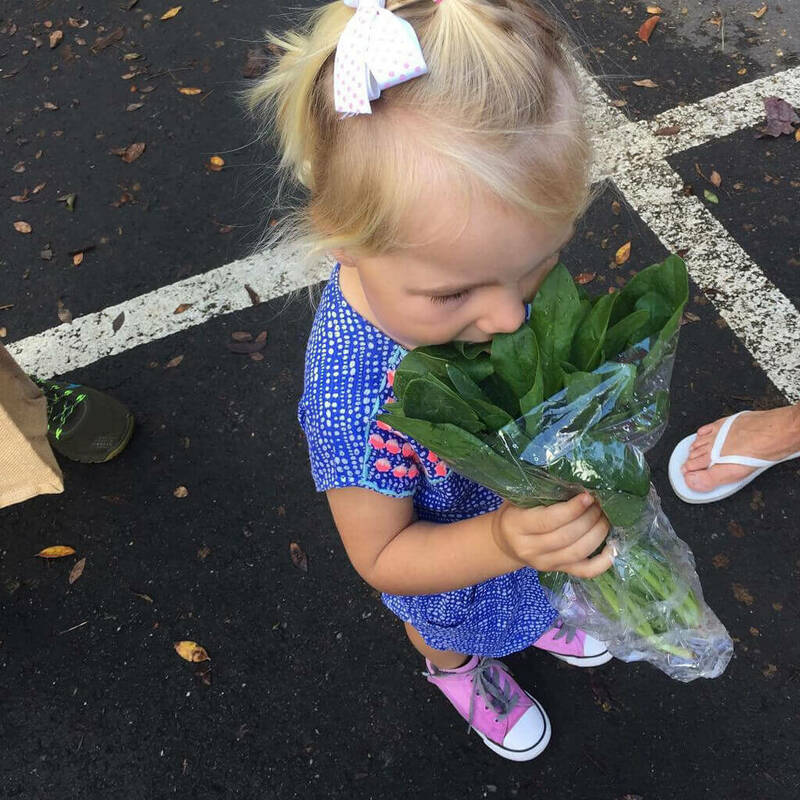 Before she could walk, Grace was eating way healthier than the average adult. 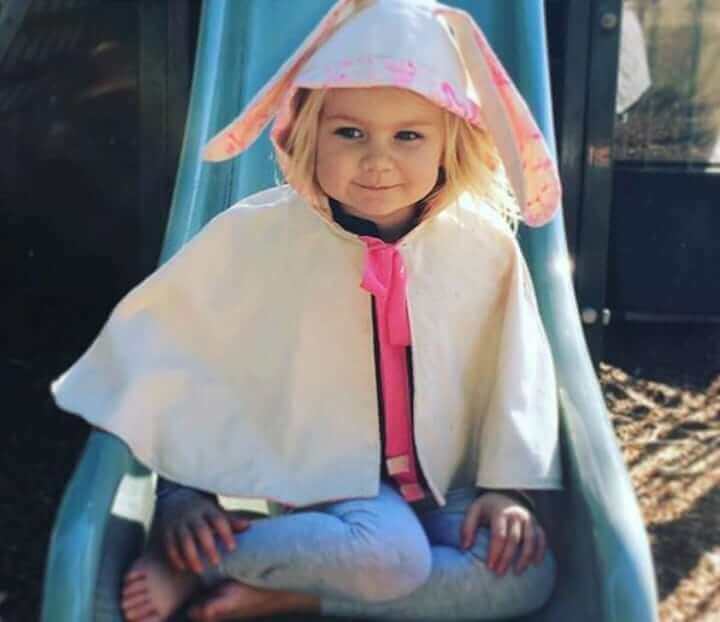 But at 13 months old and on such a restricted diet, many people were still concerned that Grace wasn’t getting all the nutrients that she needed. What Grace was eating was certainly good for her, but the question remained over whether it was enough. Cooper would only see the results as Grace grew up. 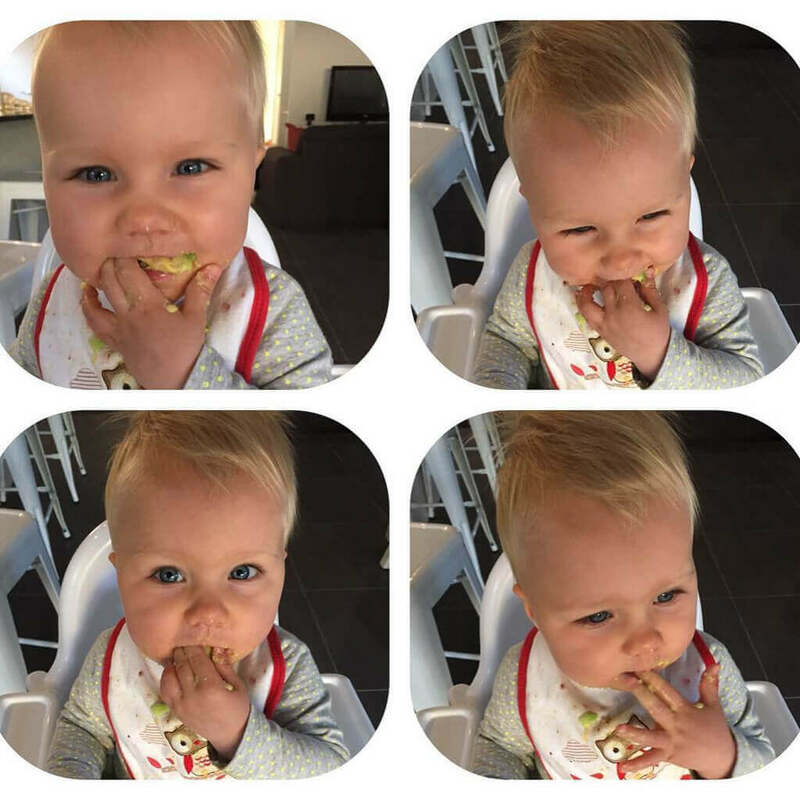 By 13 months old, Grace was eating plenty of fruits and veggies, which is amazing since most children hate that stuff. But as it turned out, Grace’s diet wasn’t as simple as it seemed. Shannon Cooper made sure to prepare foods that were a little more sophisticated. 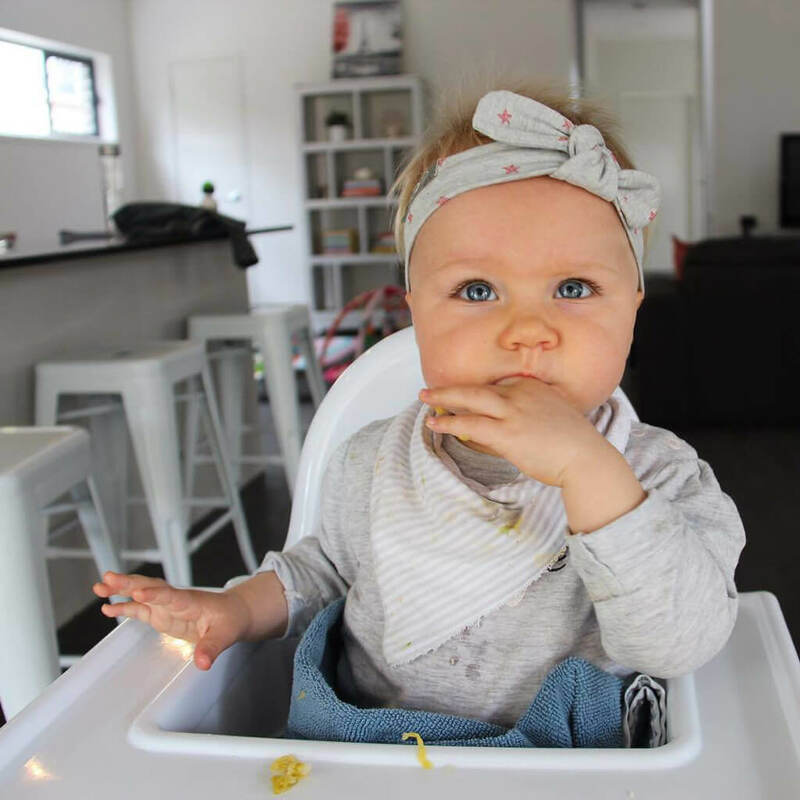 Grace was only a baby when she got her first tastes of health foods such as sauerkraut, chia pudding, and quinoa porridge. Most kids would throw a fit if you tried to make them eat something like that, but Grace was different. In fact, Grace has never in her life had carbs or other sugary treats that kids love. 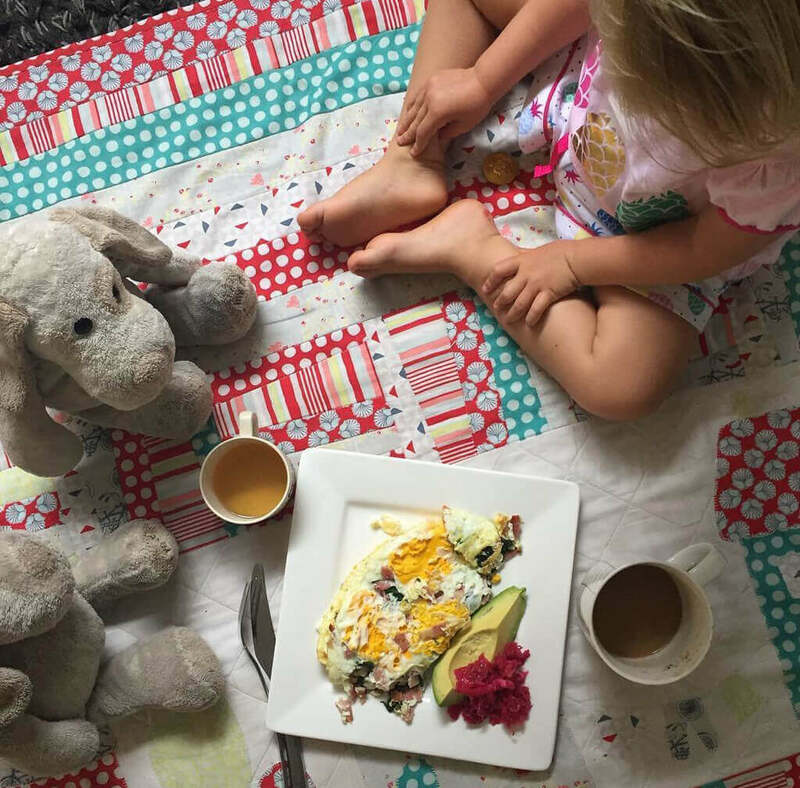 People might think that a baby Paleo diet would be pretty weird, but Grace’s everyday meal plan is pretty typical. 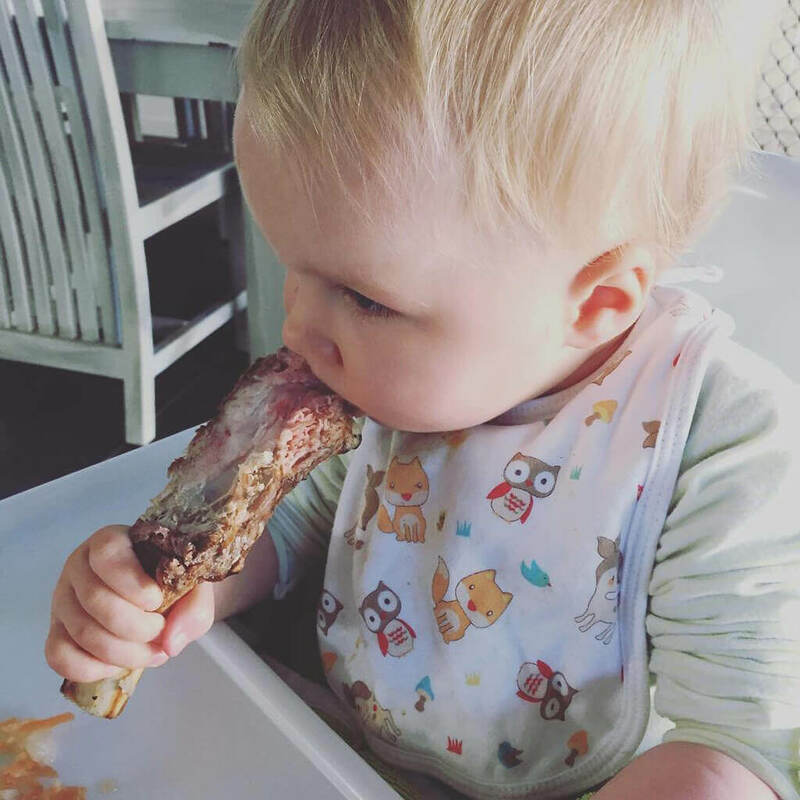 After transitioning to solid foods, Cooper has been having Grace eat just as any other baby would, albeit with Paleo-approved food. Breakfast usually included eggs and veggies from the night before. For lunch, Grace would have some roast chicken with more leftover veggies. At dinner time, Cooper would make a dinner such as spaghetti bolognese with zucchini noodles. As for snacks, Grace enjoys fresh fruits.There usually isn’t dessert and even for Grace’s first birthday, Cooper made a Paleo-safe strawberry panna cotta. Just wait until you see what Grace looks like these days! So how exactly did Grace react to this diet as she was growing up? According to her mother, she “loves it,” but then again Grace doesn’t know anything else. Still, the diet has proven to be nothing short of amazing for the growing girl. Her mother claims that Grace has only ever gotten sick once in the first few years of her life and even then, it was just a mild cold. Cooper told Daily Mail that Grace is around sick kids all the time, but doesn’t catch anything. Cooper believes the Paleo diet has strengthened Grace’s immune system. Now, you might be thinking that Shannon Cooper is deliberately doing things to keep her daughter from getting sick, but apparently that’s not the case. 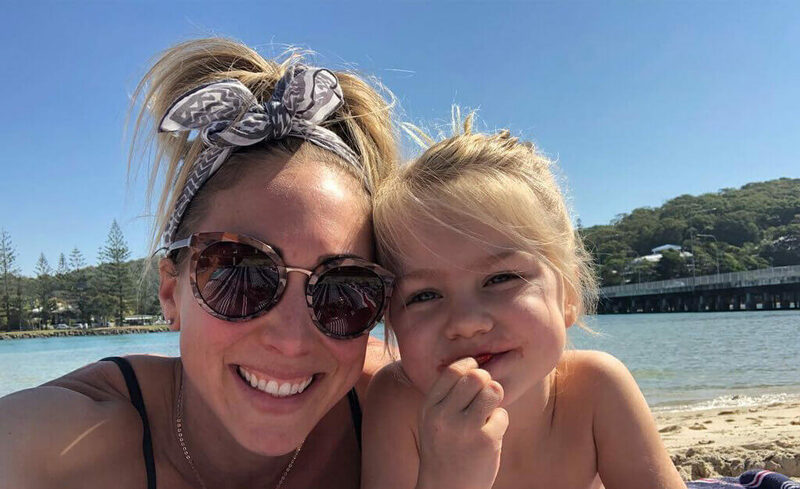 “She spends a lot of time around other kids who are sick all the time,” Cooper told Daily Mail Australia in 2015.
Cooper continued, “[The other kids] have snotty noses, coughs, colds – but she just doesn’t pick it up. It’s certainly not because I’m shielding her from any of that stuff. I absolutely think a nutrient dense diet is giving her a strong immune system.” Surprisingly, it’s not all attributed to just the Paleo diet either. 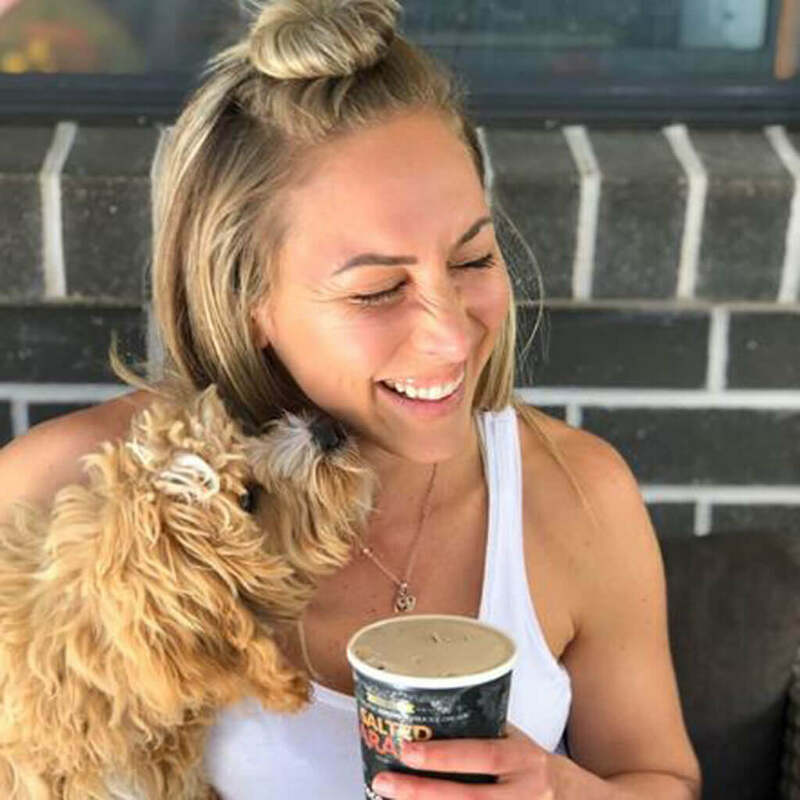 Cooper continues, “I take what I like from different food approaches and recipes and adapt it to suit what makes me feel good.” But even though Cooper has successfully raised Grace on the Paleo diet so far, she knows that it won’t be this way for Grace’s entire life. How exactly is Cooper going to approach this as Grace gets older? 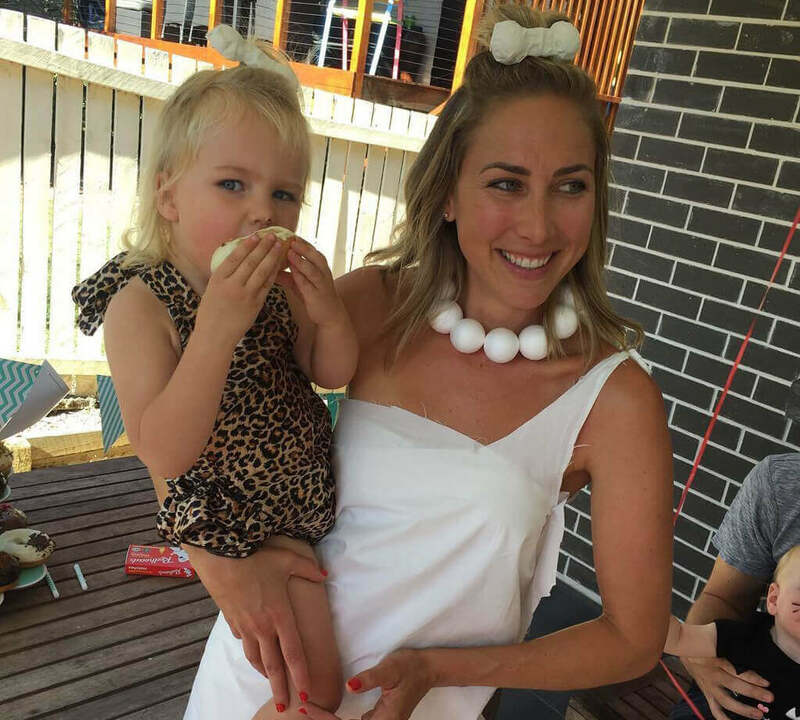 Shannon Cooper knows that her daughter won’t be strictly Paleo for the rest of her life. There will inevitably come a time when Grace encounters foods that aren’t allowed by the diet and Cooper decided that she would just let it happen. “I’m not going to not let her go to kids’ parties. She’s going to go to kids’ parties and eat what’s there. I’m never going to go to Grace, ‘You can’t eat anything at this party – but I packed you some kale, here you go,'” Cooper told Daily Mail Australia. Cooper explicitly states on her blog that she likes to make food that makes her feel good and this is one thing she hopes to instill in Grace. For Cooper, it’s important for Grace to be healthy and happy, which is why as Grace gets older, Cooper will let her decide for herself. Cooper speculates that by the time she goes to friends’ parties she’ll be old enough to decide what to eat, but that she might overdo it and come home feeling sick. “And next time instead of eating 12 cupcakes she might only eat three,” Cooper said. One of the main reasons that Cooper knows not to restrict Grace when she gets older is because she wants her daughter to feel good when she eats. “I don’t want there to be any disordered eating around food,” Cooper told Daily Mail Australia. She continued, “Females particularly have enough problems with eating disorders… I want Grace to eat what makes her feel good. That’s the reason I eat this way. 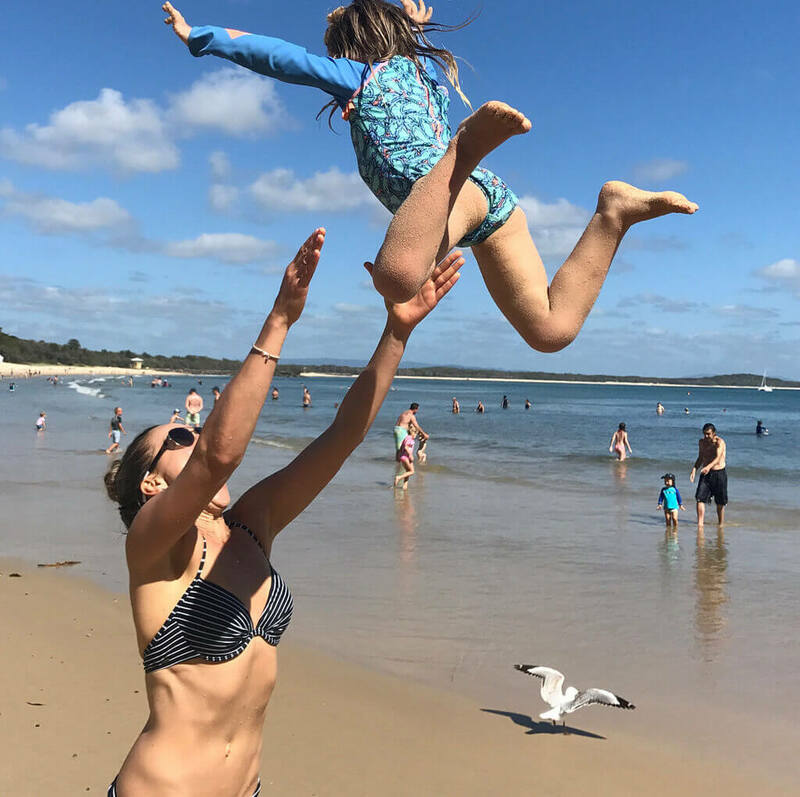 I don’t think eating a piece of bread is going to kill me.” Cooper has been praised for raising her daughter on a healthy diet, but there were just as many naysayers. 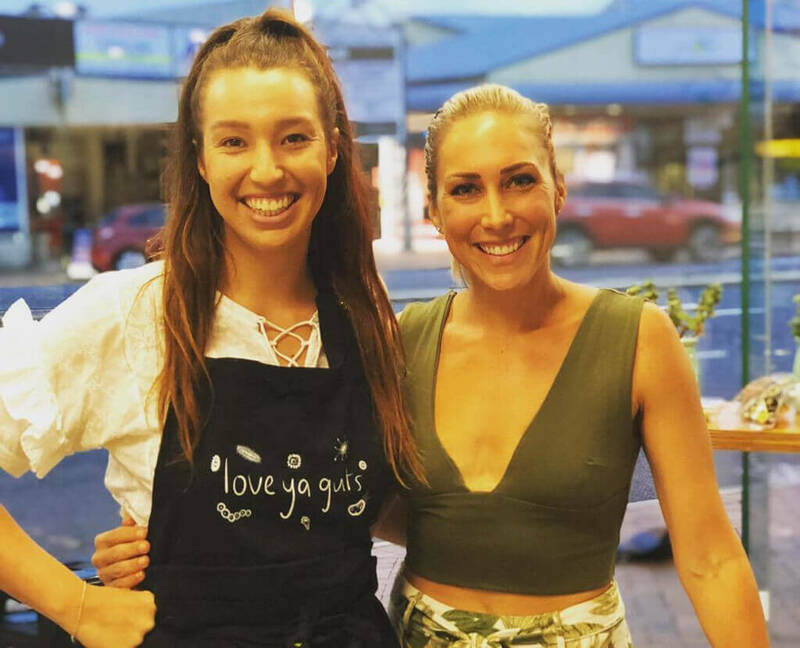 For all the positive feedback that Shannon Cooper has received for Grace’s diet, there has been just as many negative comments on the lifestyle choice. Cooper hardly lets any of it get to her. If anything, she’s more confused as to why people are making such a big deal out of it. Cooper doesn’t understand how parents can thoughtlessly feed their kids fast food, but criticize her for giving Grace healthy food. “You do the right thing you think for (your) kid. Why people think it’s offensive to eat a plate of vegetables (over) a piece of bread – that’s bizarre,” she said. While Cooper is unfazed by the negativity and continues with Grace’s Paleo diet, there are still plenty of people who’ve offered their unsolicited two-cents on the matter. Daily Mail Australia spoke with dietitian Dr. Rosemary Stanton, who thinks the diet is a bad idea. 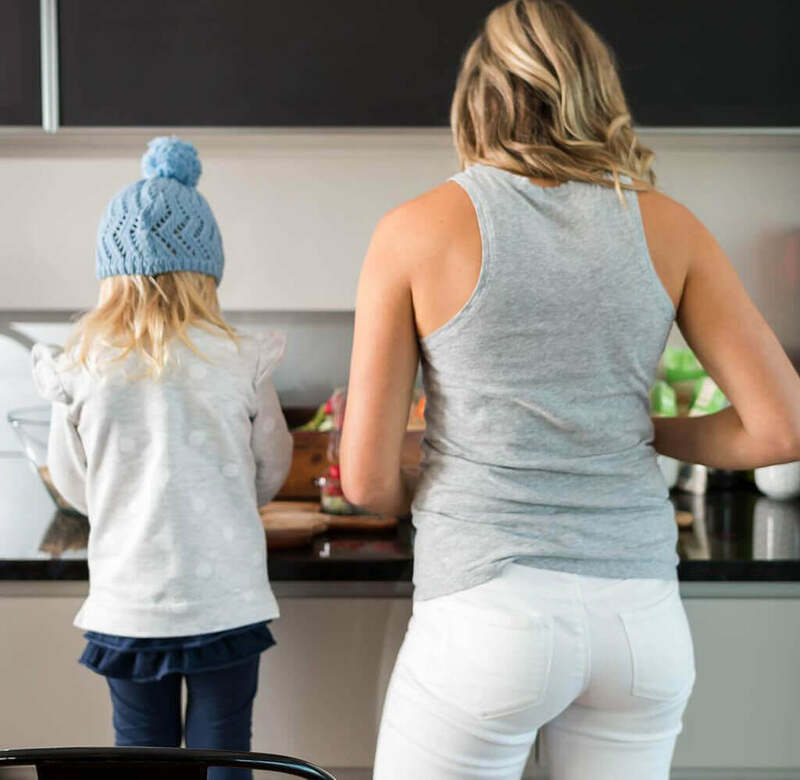 “It’s really not usually a good idea to put a child on such a restricted diet, particularly when there’s no valid grounds for it… Depriving her child of grains and legumes will make it much more difficult to achieve a balanced diet… I’d certainly sound a note of caution (to other people considering following her),” said Dr. Stanton. Cooper likely already knew what Dr. Stanton had to say, as it was a popular opinion among many medical professionals. Still, Cooper insists that Grace loves the food she eats and doesn’t understand why everyone thinks it’s weird. “(What she eats now) is not weird, not anything strange, that normal people wouldn’t eat. She loves it… I don’t feed her toast or cereal or anything like that. 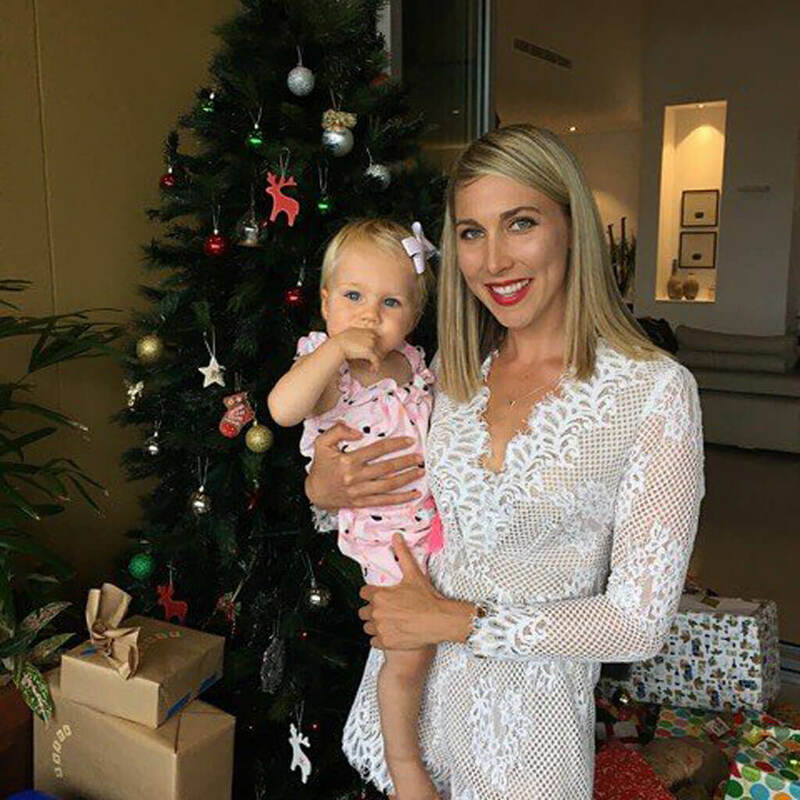 Again I think, ‘sure that stuff is not going to kill her.’ If she eats a piece of bread I’m not going to have a conniption,” Cooper told Daily Mail Australia. Grace Has Grown Up, But Will She Still Be Paleo? As of August 2018, little Grace has entered kindergarten. 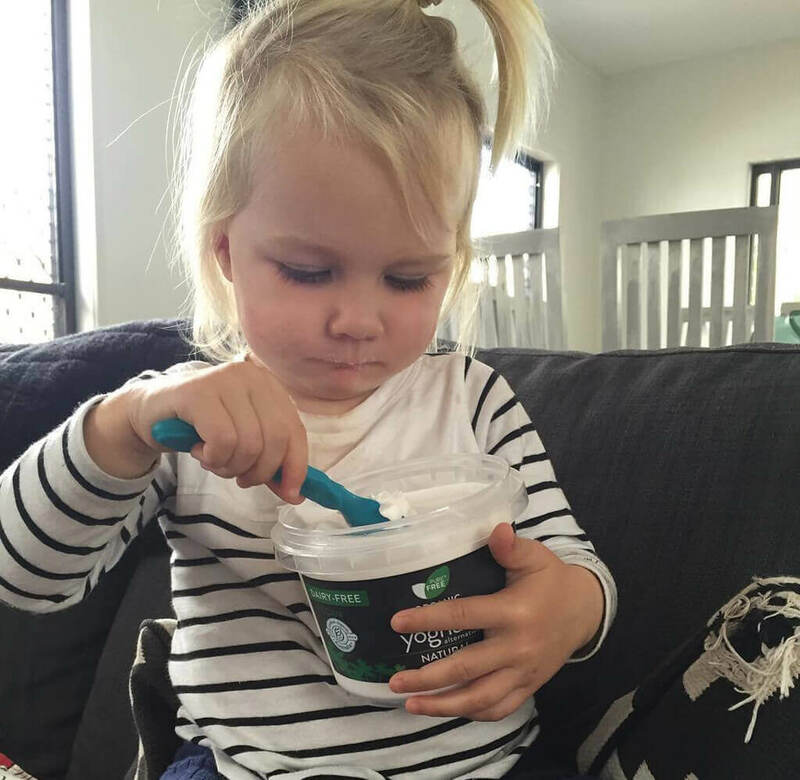 For a child who has been on the Paleo diet her whole life, she appears to be thriving! For Cooper’s part, she can’t believe that her little girl is growing up so fast. Then again, that’s something that all first-time parents have a hard time grappling with. 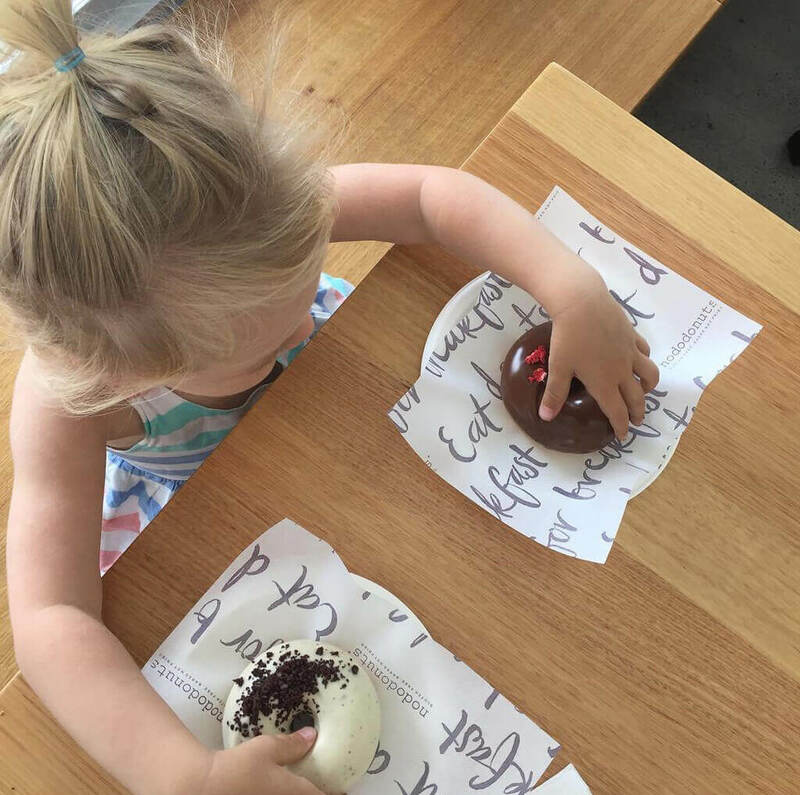 As Grace is starting school, the days of her going to a kids’ party with non-Paleo foods is drawing near. 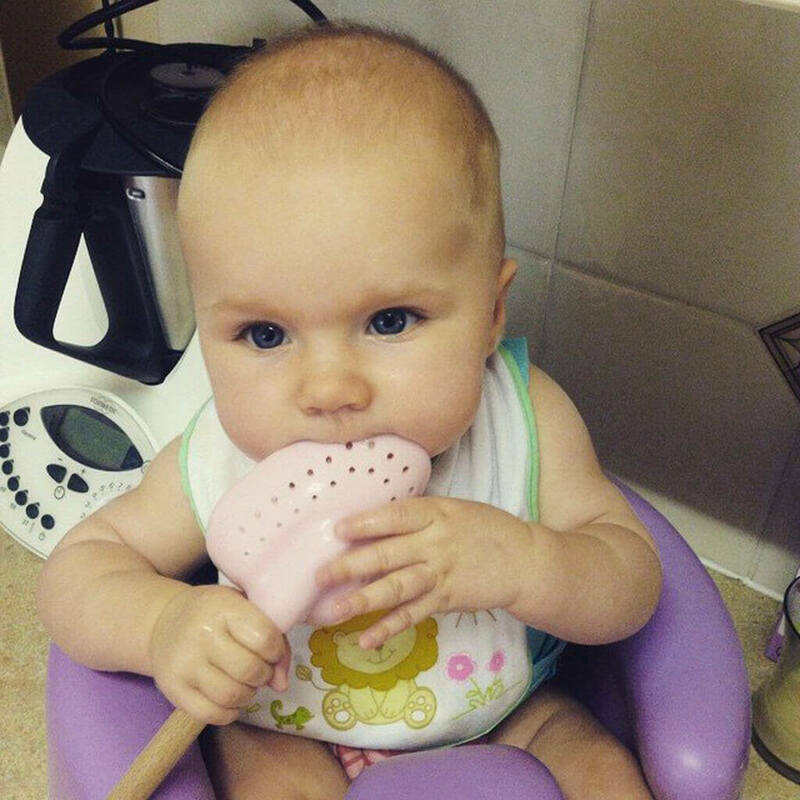 This leaves many to wonder if Grace will continue to follow in her mother’s footsteps once she gets a taste of these foods. Shannon Cooper made it clear that she wouldn’t force this diet on her daughter if she one day decided to venture out of it. But so far, Grace hasn’t shown any indication of wanting to. If anything, Grace loves sticking to her Paleo diet! You’d think that when kids see sugary treats or snacks around, they’d beg their parents for it. But even on vacation, Grace is happy to eat fresh fruits. On a trip to Mykonos, Grace was perfectly fine to snack on some fresh strawberries on the beach. Cooper tries to have open and honest conversations with her daughter about their lifestyle practices. It’s inevitable that Grace will start to question why her mother put her on this diet since the day she was born. In order to help educate Grace, Cooper tries to involve her in many aspects of her career. The knowledge that Grace gains from these lessons will hopefully allow Grace to make conscious and informed decisions on her own. With Cooper involving Grace in this area of her life, it is also a great way for mother and daughter to bond. For Cooper’s part, it’s unlikely that she’ll be changing her way of life anytime soon. Even now, she doesn’t really restrict herself – especially when she eats out with her girlfriends. Cooper has been known to make exceptions for herself as well. “When I got out [to] dinner with friends… I’m just going to eat what’s on the menu. I’m not going to be a jerk about it,” Cooper explained to Daily Mail Australia. But Cooper does say that there’s room for indulgence, even on a Paleo diet. You just have to know the right recipes. The idea that there is a set time for breakfast, lunch, and dinner is really a human concept and it is one that Cooper follows quite loosely. “I have finally arrived at a place in my life that I feel like I can eat more intuitively rather than just eating because it’s ‘lunch time’ etc. Some days I eat a huge brekkie and no lunch and a big dinner,” she tells the GoodnessMe Box Blog. People who judge Shannon Cooper for putting Grace on the Paleo diet probably aren’t aware that this a woman who knows what she’s talking about. She uses her educational background to not only broaden her own knowledge of nutrition but also to help others as well. Shannon Cooper’s blog, My Food Religion, has tons of healthy recipes that incorporate aspects of various diets. In addition to the recipes, Cooper has made a living out of teaching private classes and workshops for people who want to learn how to prepare healthy foods and change their lifestyle. Because Shannon Cooper is a Paleo advocate, she knows that it can be adopted as a complete way of life. Not only does this include changing your diet, but it also entails implementing wellness practices such as meditation. Cooper shares much of her knowledge through her Instagram accounts, also letting people know what products she swears by. 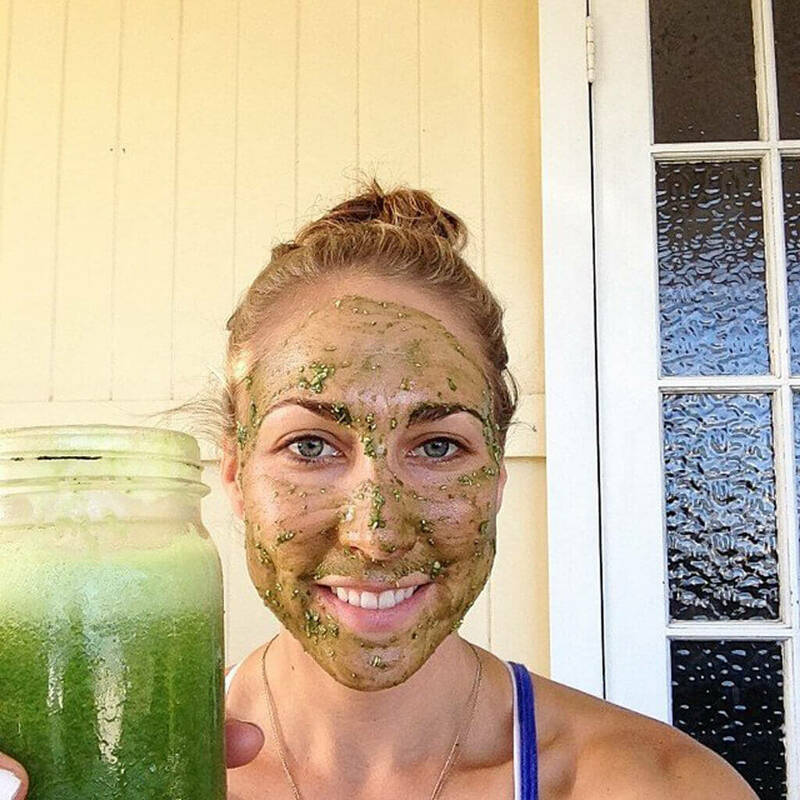 She explains that it’s not only about the food that we put into our bodies, but total wellness also has to do with how we approach our day to day lives. Cooper also offers honest reviews of products she uses. By now, Shannon Cooper is can definitely be considered an influencer. But Cooper is probably one social media influencer who doesn’t just promote stuff for the sake of a paycheck. Cooper actually goes out of her way to experiment with products and brands before sharing her honest opinion of them to her followers. Some brands that have made the cut include organic coffee brand Crema Coffee Garage and Cleanse Skincare, whose products are all natural and completely devoid of toxins and chemicals that are harmful to our skin and bodies. Cooper’s blog has taken off so well that she decided to make it easier for her fans to access her numerous recipes. That is why Cooper has taken the initiatives to write a few e-books that include detailed recipes. The books also entail her experiences on her wellness journey. Cooper’s recipe e-books only prove that you can have delicious foods that are free of dairy, gluten, sugar, and grains. When people think of health foods, they typically think of something that doesn’t taste good. But Cooper’s recipes actually look palatable to most people. One of the main reasons that Cooper is an advocate for the Paleo diet is that it changed her way of life. 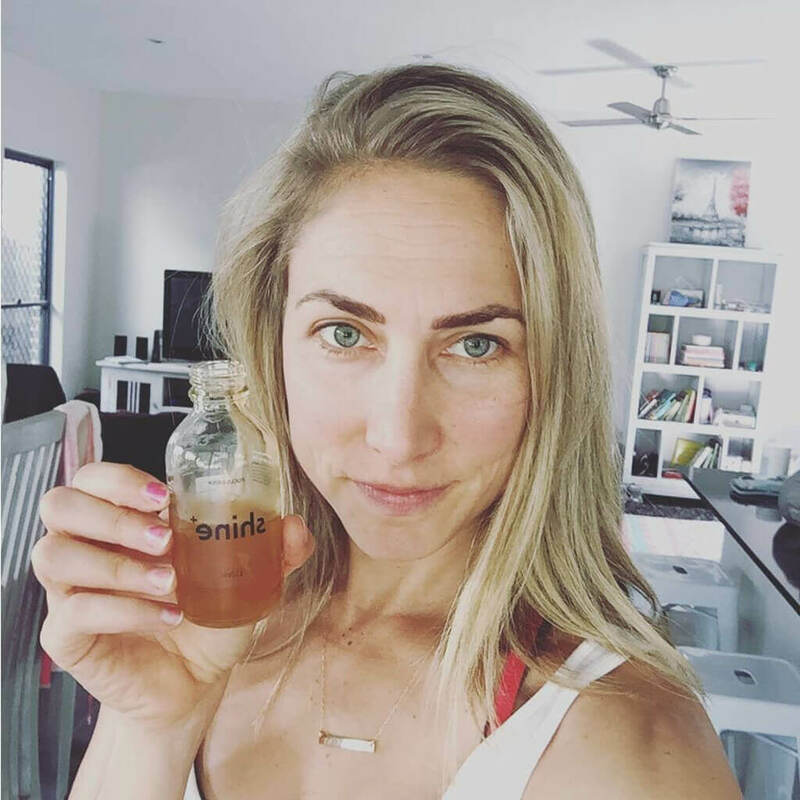 This is mostly due to the fact that Paleo was a great way for Cooper to be able to cleanse her gut and gut health has a lot to do with how we feel on a day to day basis. 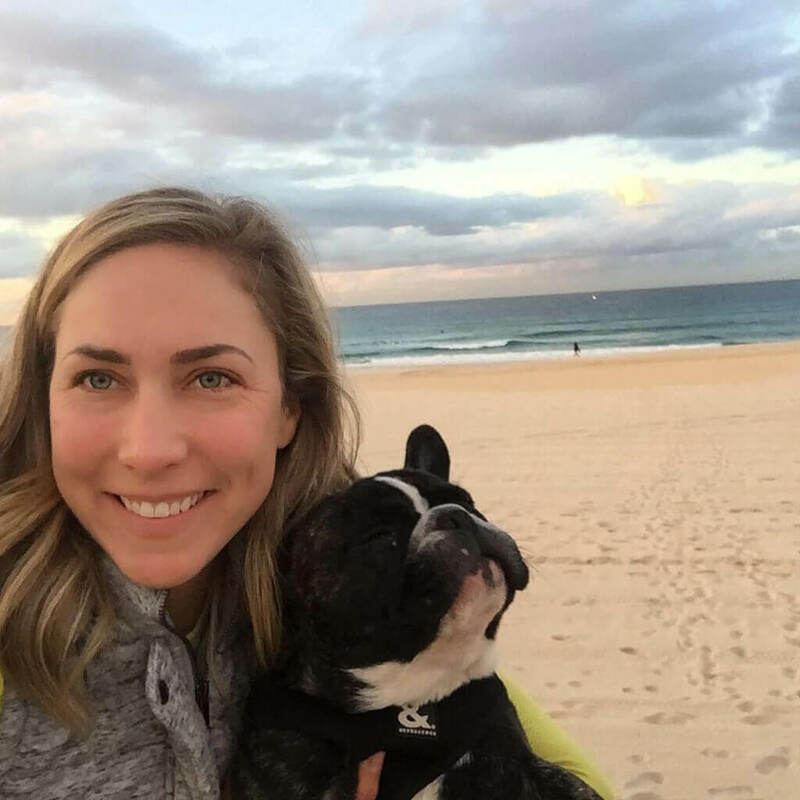 Cooper writes on her site, “I have a huge passion for gut health & cannot get ENOUGH of learning all about the gut microbiome and how it affects so many aspects of our body!” The microbiome is the entire environment for microorganisms that live on a living being.